Metcheck.com - Snow Forecast Discussions - Weekly Snow Forecast - From 25 March 2018 - Expert Meteorologists Analyse Snow Forecasts For Ski Resorts Around The World. 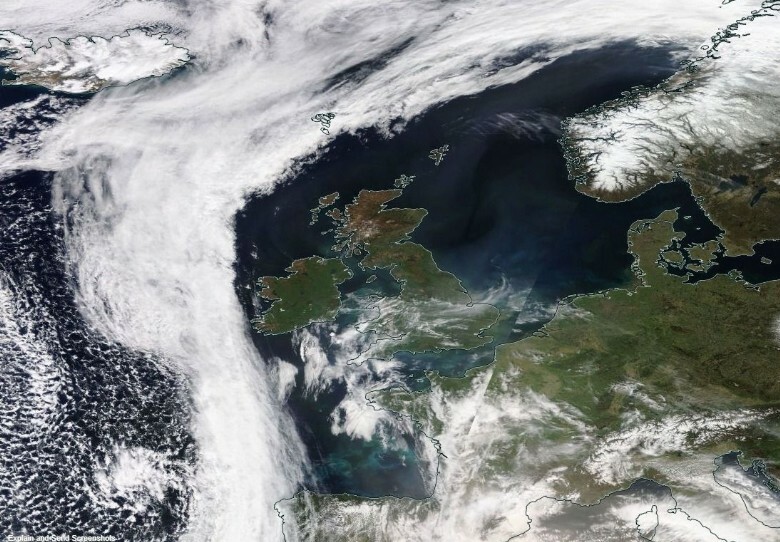 A transition to cooler air across the UK this week thanks to the wake of an area of low pressure which brings in returning Polar maritime air (rPm) from the Northwest. 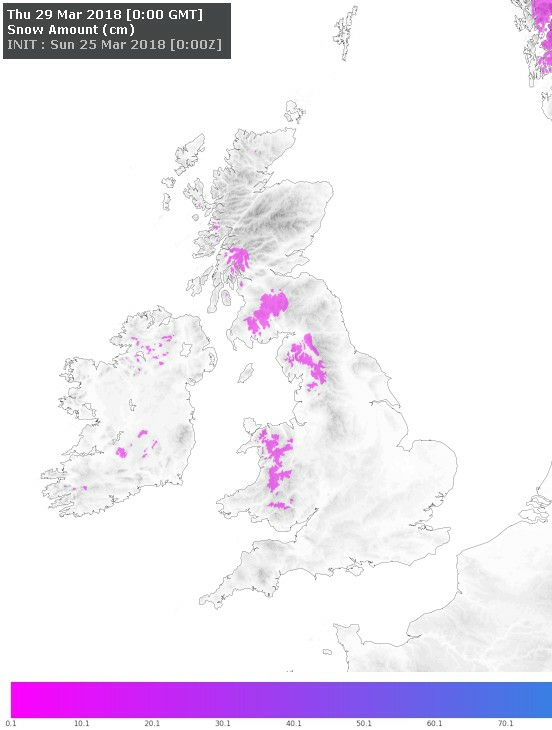 Snow showers for the peaks of high ground of the UK on Wednesday and Thursday which could give light accumulations. 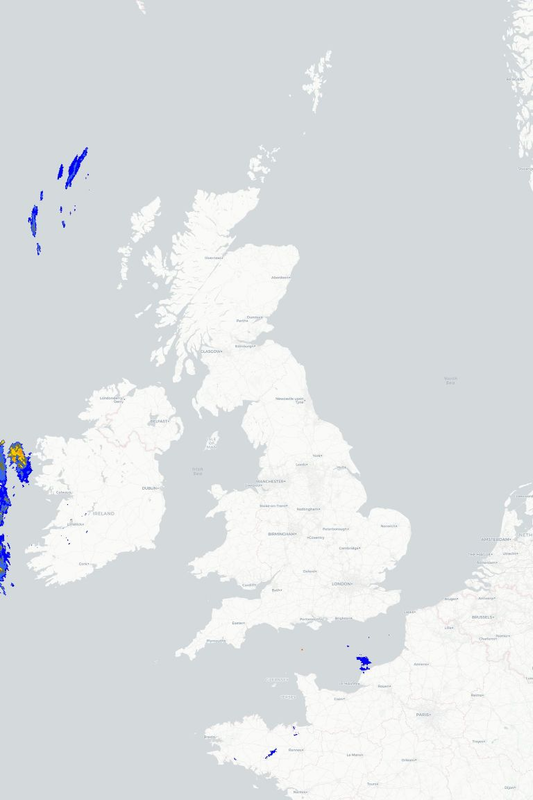 Low risk of snow showers across parts of East Scotland and Northeast England over the Easter weekend with continued low risk of snow across parts of Central and Eastern England during the early part of next week. 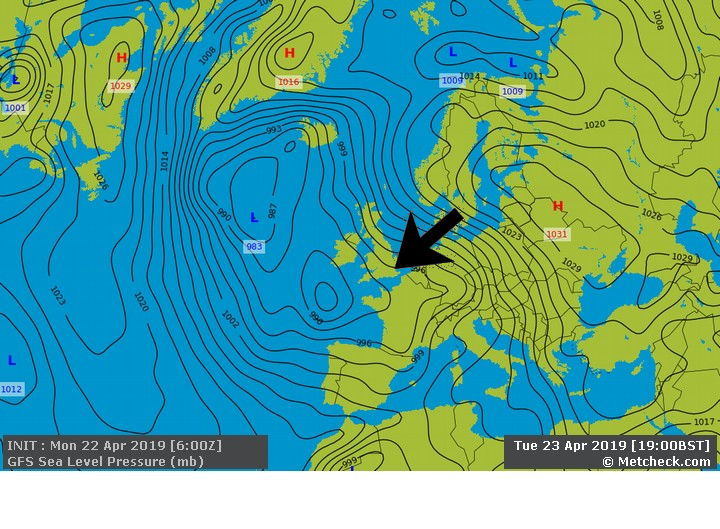 This scenario is very dependent on whether or not colder air is drawn in from the East/Northeast over the Easter weekend and we will update this discussion later this week should confidence change on this.